Considering installing a deck in your house? If so, you might have become confused as to which to opt for – wood decks or composite decks. Composite decks are a combination of wood and plastic and are many homeowners’ deck of preference for the reasons given below. Composite decks are highly durable. 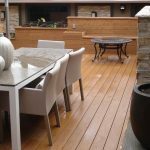 When choosing between a composite and wooden deck, you’ll want to consider the elements (rain and snow especially) and which material would be better able to withstand them. Changing temperatures and precipitation tend to warp or rot outdoor materials. While wood warps and rots quickly, especially after a dry out period – say after a winter, composite decks are more likely to hold up and can last you up to 25 worry-free years. Given its durability, it is no surprise that composite decks are low maintenance. You will have little need to call the repairman often. Cleaning is easy and quick, and fixes are simple without consuming your energy. This is in contrast to the treatment repairs wood decks require every two years and sanding and stripping needed every six months to keep them in good shape. You want your deck to be in complete harmony with your home, serving as an extension of your general home design and keeping with its style. With timber, this is difficult to attain and might require that you settle for a compromise. Not so with composite decks. 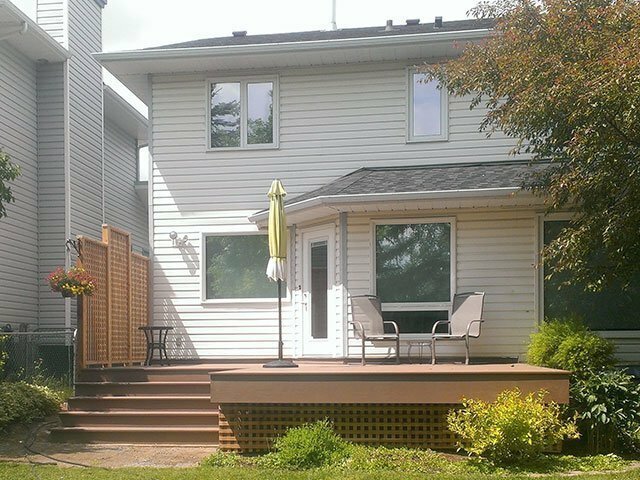 Coming in a multitude of styles, colours, textures and designs, it’s no surprise that composite decks can be customized easily to fit in with your general house theme. You can choose to go classic by adopting a “Legacy”, “Tropical”, or “Terrain” style. The moment you install your deck is always brilliant. Having tried hard to implement your dream style, you sit back and relax, satisfied with your effort. Then the real work begins. Spilled drinks, dirty shoes, weather elements… the list of potential hazards is endless. And the bugs, bugs that adopt your deck as accommodation and begin feeding off it. With composites, you have no such worries. The material is resistant to stains, scratches and nicks, and what little that happens to stick can be cleaned off at a moment’s notice with warm water and soap. Splintering wood isn’t cool. And that is putting it nicely. Having those micro-slivers on your feet and between your toes is never a good experience. Composite deck materials save you the trouble of having to sand and varnish to prevent splintering of your deck. Despite changing standards, many lumber companies still make use of Chromated Copper Arsenate (CCA) for the preservation of wood. This preservative is unsafe to plant and animal life – you, your kids and your pets are at risk of contamination from CCA, and the risk is at it’s highest when the wood is wet. Of course, you do have your reasons why you love wooden decks, but the benefits of composite decks are many. 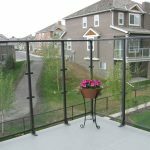 Cheap and easy to maintain, easily adjustable to your preferred design, composites are one of our materials of choice for custom decks in Calgary.